Steve is a Managing Director and Chief Financial Officer of Flexpoint Ford. Prior to joining Flexpoint Ford in 2005, Steve was a Partner at the accounting firm of Ernst and Young LLP. 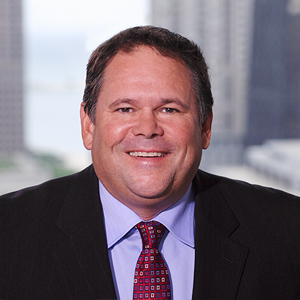 Steve began his career in 1985 in the Chicago office of Ernst and Young LLP. From 1992 to 1994, Steve was a member of Ernst and Young’s National Tax Department in Washington D.C.
Steve holds a B.S. and M.S. degree in Accounting from Oklahoma State University. He is a member of the American Institute of Certified Public Accountants and the Illinois State CPA Society.